Bajaj Pulsar RS400 and Avenger 400 could be a success for the two-wheeler giant. Both the motorcycles could use the engine from Dominar 400. Sometime back, speculations of Bajaj Pulsar RS400 and Avenger 400 were going around. It has been a long time now and there is no official confirmation on this topic. However, the idea is not bad. Bajaj’s fully faired sportsbike and its beloved cruiser in a more powerfull 400cc avatar, could actually turn out be good. Here are some of the reasons why. Currently, it has the Bajaj Dominar as its most powerful motorcycle with a 400cc engine. It borrows its engine from KTM Duke 390. Dominar is called as a power cruiser, because of a modern cruiser type appeal and a powerful engine. Also Read: Bajaj Pulsar RS400 – All You Need to Know! The 379cc engine produces 35 BHP and 34 Nm of peak torque. The figures are less by 9 BHP and 8 Nm from the Duke 390. Of course, Bajaj has tuned the engine for daily commuting purpose. 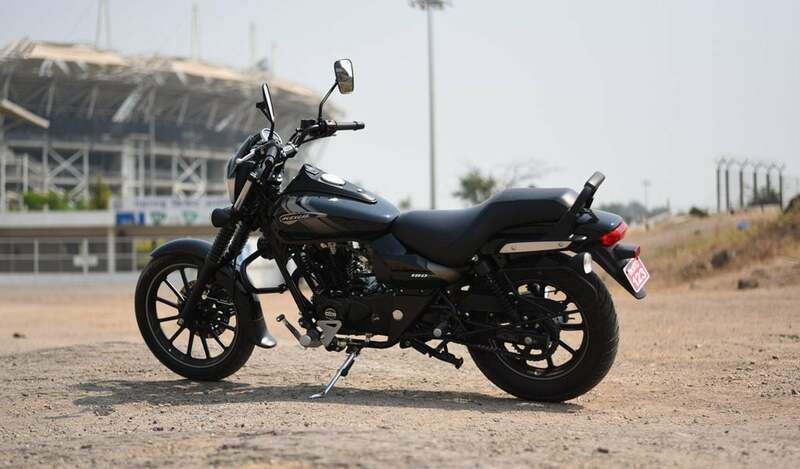 Bajaj Avenger is one of the best selling cruisers in India, primarily because of its low pricing and Bajaj’s grunty yet frugal engine. It is the cheapest cruiser in India as of now. A 400cc on Avenger would make it more suitable for long rides and even long office commutes. The fuel efficiency would go down a bit, but that’s where Bajaj will work on. On the other hand, Bajaj RS200 is a popular sportsbike from the brand. The fully-faired bike competes with the likes of Yamaha R15 V3 and KTM RC200. If Bajaj Pulsar RS400 is launched, it would actually be a class apart. It might actually be one of the cheapest 400cc bikes in town. For Bajaj Pulsar RS400, the power figures might be actually jacked up a bit. Bajaj Dominar is tanking badly in the market, with sales for December going down to 106 units. Induction of Bajaj Pulsar RS400 and Avenger 400 could bolster the sales. Also Read: 2019 Bajaj Dominar fully revealed in this official video! Bajaj Pulsar RS400 will compete with TVS Apache RR310, Kawasaki Ninja 300 and BMW G 310 R. Avenger 400 could go against Jawa and Royal Enfield Classic 350.